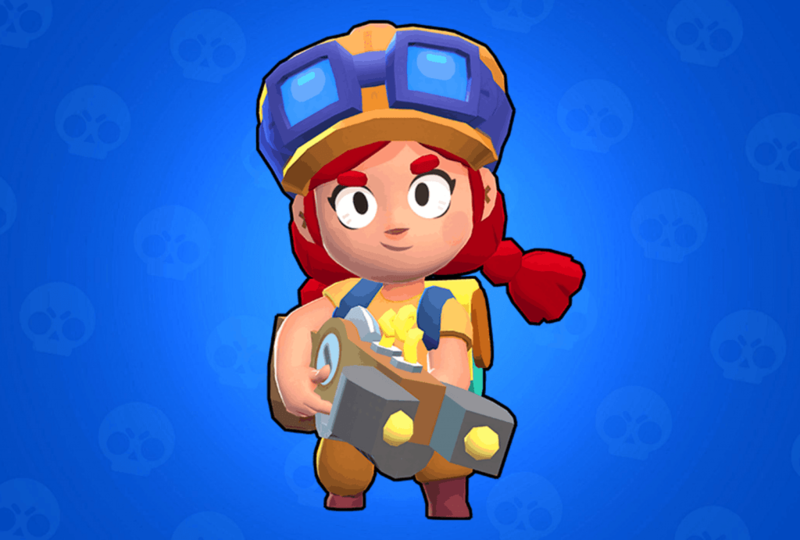 Shelly is the default brawler which you automatically have once you start the game. 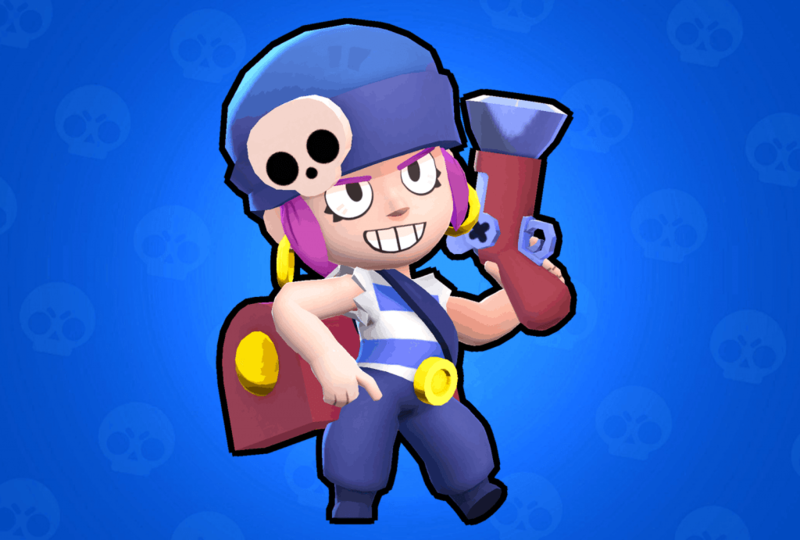 Shelly is a ranged DPS brawler who fires wide spread shells to take down enemies. Buckshot. Shelly fires 5 pellets in a cone. The more pellets that hit the enemy, the more damage it does. Therefore, standing right on top of the enemy almost secures maximum damage. Super Shell. 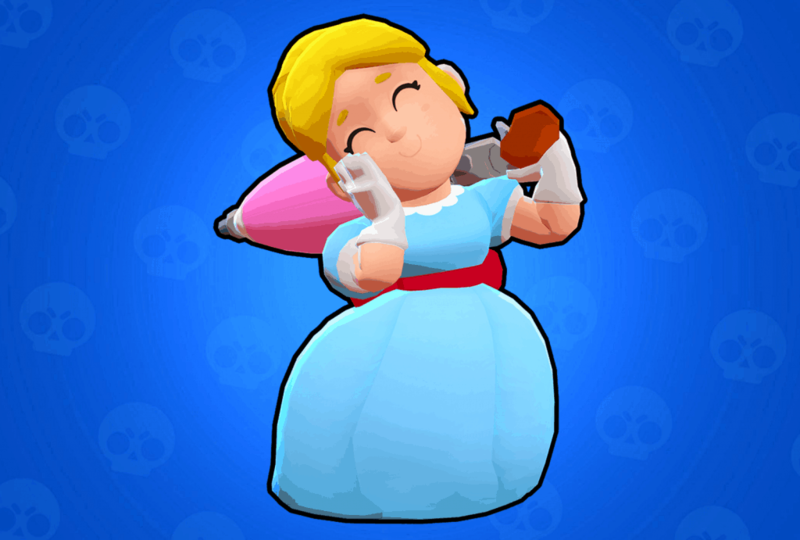 Shelly fires an even larger cone of 7 pellets at enemies that also knock them back. This attack works the same way as Buckshot, the more pellets that hit, the more damage it does. 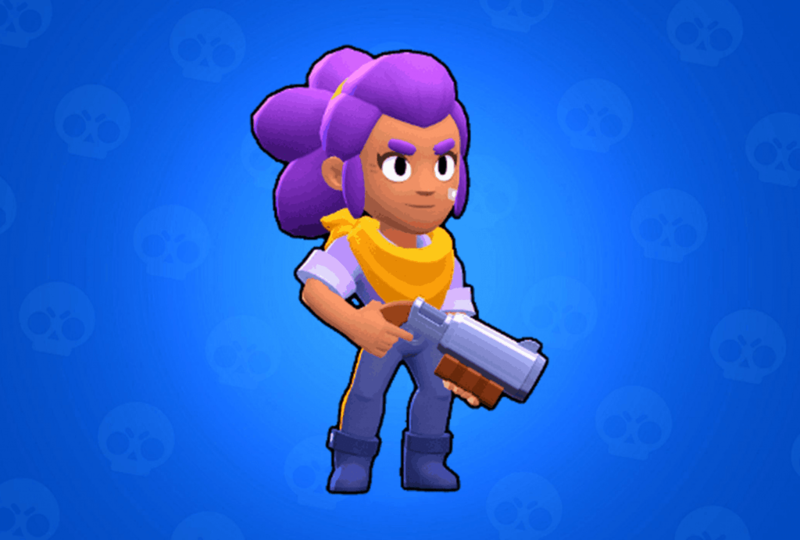 Shelly’s star power Shell Shock enhances her Super Shell ability, making it slow down enemies for 2.5 seconds. Nita is a caster brawl who fights by casting ranged spells and summoning a bear. Nita is unlocked by collecting 10 trophies on the trophy road. Rupture. Nita casts a shockwave that damages all enemies it passes through. This attack has a decent range, allowing you to outplay brawlers with closer range attacks. Overbearing. Nita summons a bear who follows Nita, hunts enemies, and attack them. 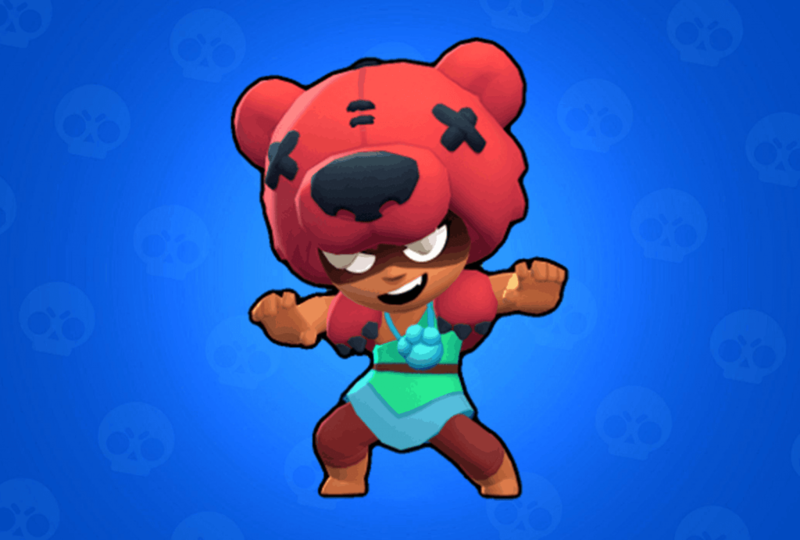 Nita can summon the bear in a wide range around her once her Super is ready. Nita’s star power Bear With Me enables her bear to heal Nita 500 health each time the bear hits an enemy. Nita also heals the bear 500 health every time she hits an enemy. 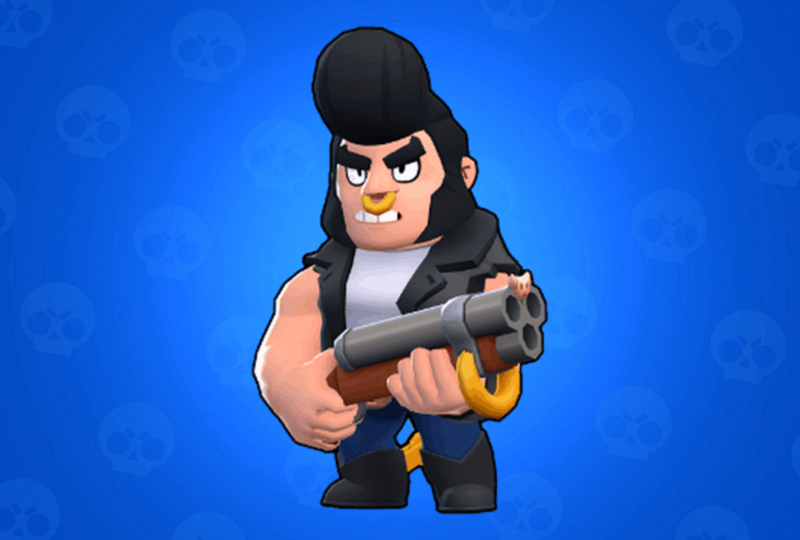 Colt is a ranged DPS brawler who uses his guns to shoot a series of bullets at enemies. You unlock Colt in the trophy road once you collect 60 trophies. Six-Shooters. Colt shoots 6 bullets in a line. This attack has a longer range than most other players. Bullet Storm. Colts fires an even longer and more powerful series of 12 bullets. Many players use this super attack as a one-shotting snipe skill. 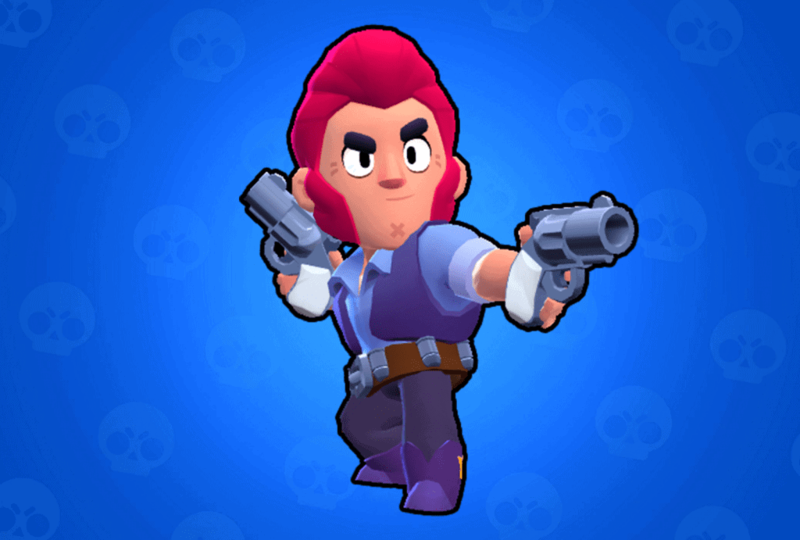 Colt’s star power is Slick Boots, which increases the movement speed of Colt. Bull is another trophy road brawler unlocked at 250 trophies. 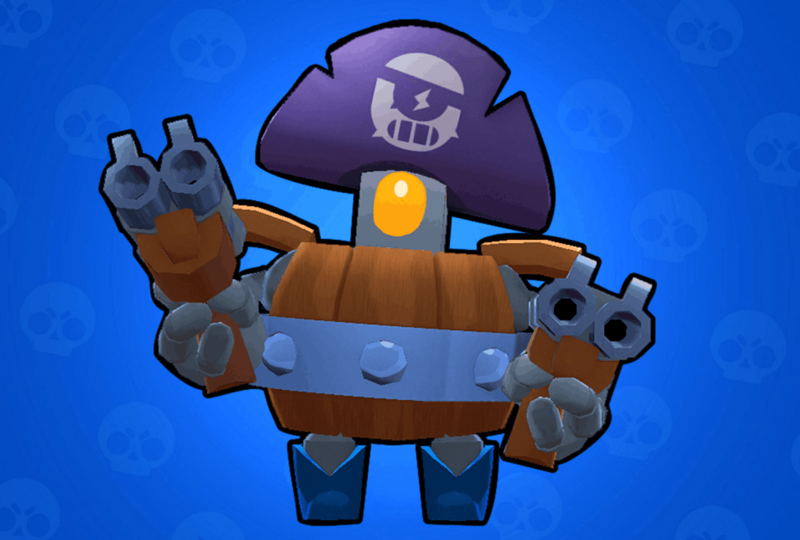 Bull is a close to medium ranged dps brawler with a similiar basic attack to Shelly. Double-Barrel. Bull fires a cone of 5 pellets at enemies. The more pellets that hit the enemy, the more damage it does. Bulldozer. Bull charges in a given direction, breaking down structures and knocking away enemies in his pass. This super makes it possible for Bull to charge at an enemy, then burst him down with close range Double-Barrel shots. Bull’s star power is Berserker, which causes him to enter beserk mode once his health falls below 40%. In beserk mode, Bull’s reload time is cut in half, making him able to attack twice as fast. Shock Rifle. Jessie fires a bolt of energy at a medium range. This attack does have a little AoE, so if you catch two enemies stacked up very close to each other, you can damage both with one attack. Srappy!. Jessie summons a turret on the ground which attacks enemies nearby. 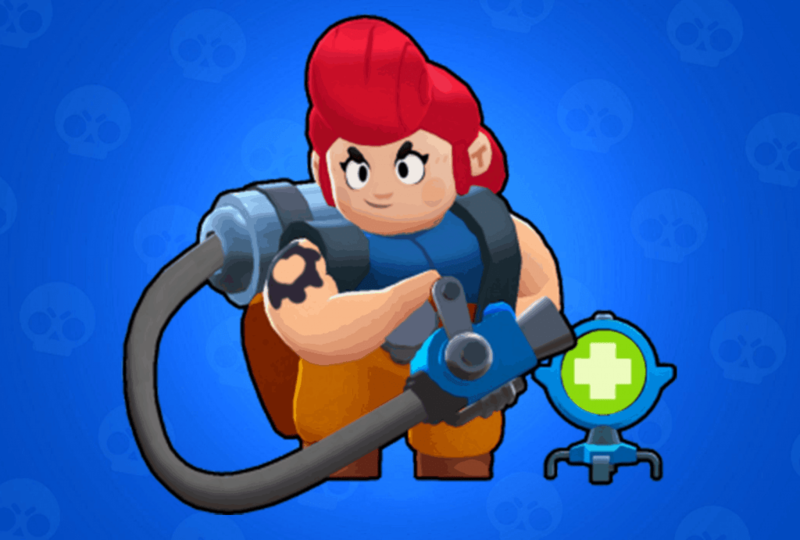 Jessie can summon this turret within a small radius of herself by throwing the turret. Jessie’s star power is Energize, which enables her to heal her turrets 800 health by hitting them with her Shock Rifle attack. 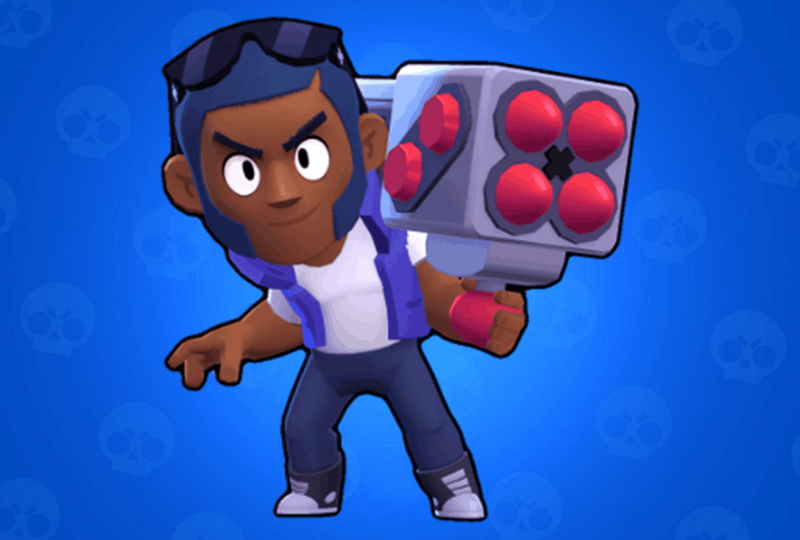 Brock is a very long ranged DPS brawler who shoots snipes enemies with rockets. Brock is unlocked through the trophy road by collecting 1000 trophies. Rockin’ Rocket. Brock fires a long range rocket with his launcher. The rockets impact is AoE. Rocket Rain. Brock fires a volley of rockets at a chosen area within a small radius of Brock. This volley consists of 9 rockets and is able to destroy structures. Brock’s star power is Incendiary, which makes his basic attack Rockin’ Rocket create an area of fire on impact. Enemies caught within this area of fire, takes 300 damage per second. 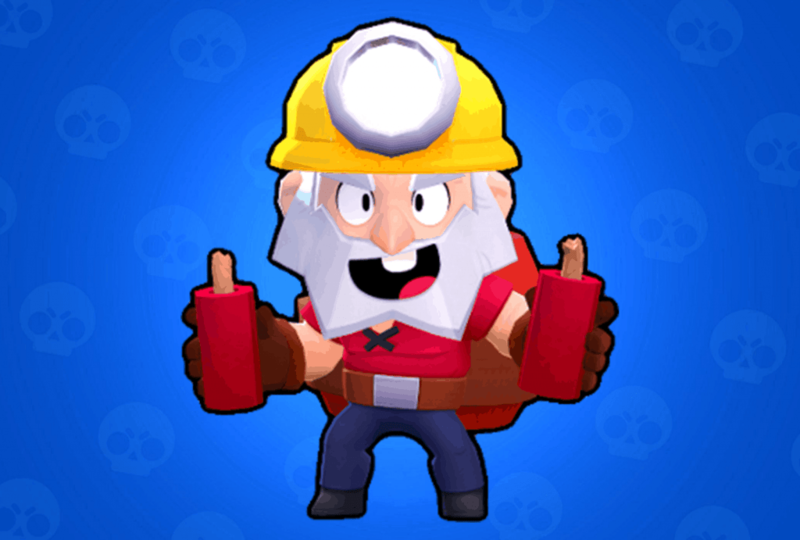 Dynamike is a trophy road brawler who throws dynamite sticks at his enemies. Unlock him by collecting 2000 trophies. Short Fuse. Dynamike throws two dynamite sticks at his enemies. This dynamite will land on the ground, and then blow up after a short while. Everyone within the radius of the blast will take damage. Big Barrel o’ Boom. Dynamike throws the barrel full of explosives he is carrying on his back. Anyone caught in the blast takes a ton of damage, and are knocked back. Dynamike’s star power is Dyna-Jump which enables him to take advantage of the blast of his own basic attack and super attack. Dynamike will jump a short distance when standing in his own blast, making him immune while in the air. This jump can be used to get over strucutes aswell. Bo is a ranged brawler using a bow to take down his foes. Bo is unlocked through the trophy road by collecting 3000 trophies. Eagle-eyed. Bo fires three explosive arrows in a cone. Bo attack has a longer range than most other brawlers. These explosive arrows detonate in a small radius once they reach max range or hits an enemy. Catch a Fox. Bo places three mines on the ground that are invisible to enemies. Once an enemy steps on the ground, they become visible for 1.15 seconds and then detonate dealing damage to everyone within the blast. 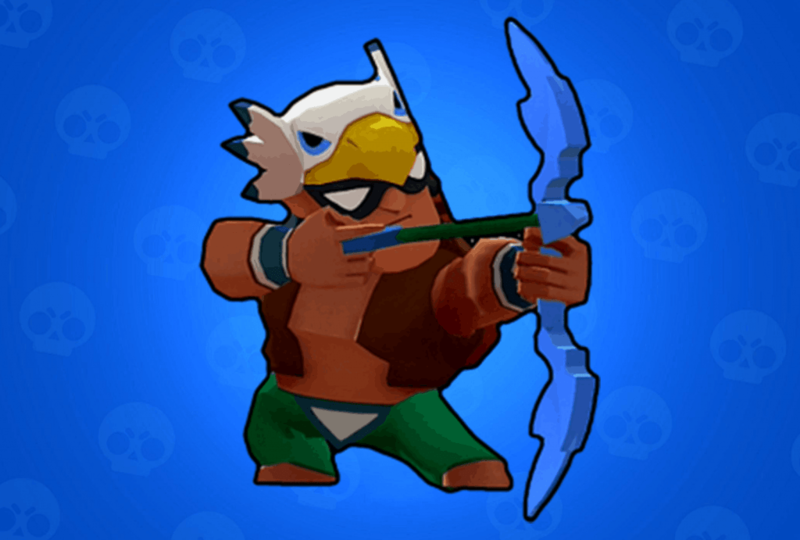 Bo’s star power is Circling Eagle which enables Bo and his teammate to see enemies hidden in bushes within a small range. 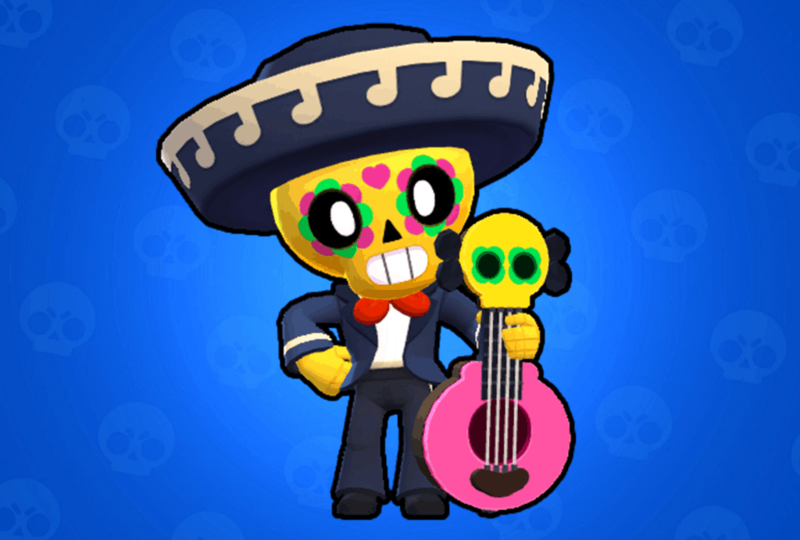 Poco uses his guitar to play waves of music that damages enemies and heals his opponents. 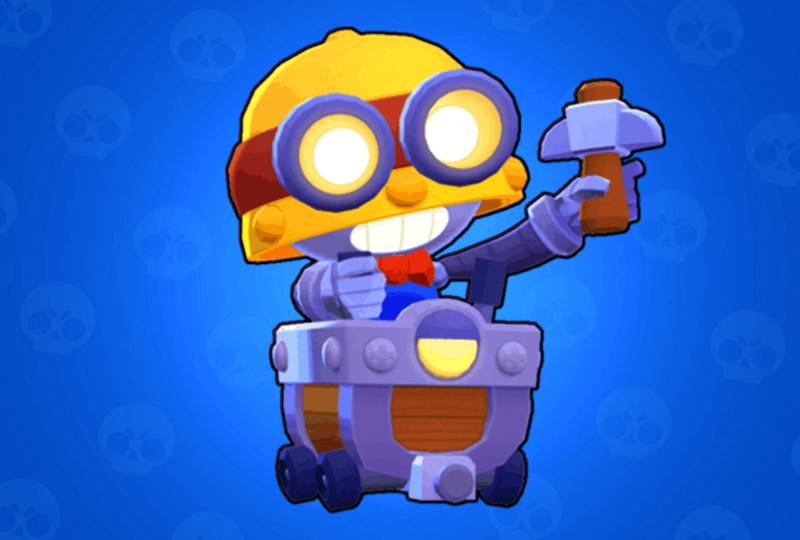 Poco is a rare brawler who is unlocked by opening brawl boxes. Power Chord. Poco releases a wave of music in the form of notes by playing his guitar. This wave spreads out to a wide range making it easy to hit multiple enemies. Encore. Poco releases an even bigger wave of music. Instead of damaging opponents, this wave heals himself and allies. This healing wave can travel through structures allowing Poco to heal allies in a pinch. Poco’s star power is Da Capo!, which makes his basic attack Power Chord heal allies 500 health per wave, on top of dealing damage to enemies. 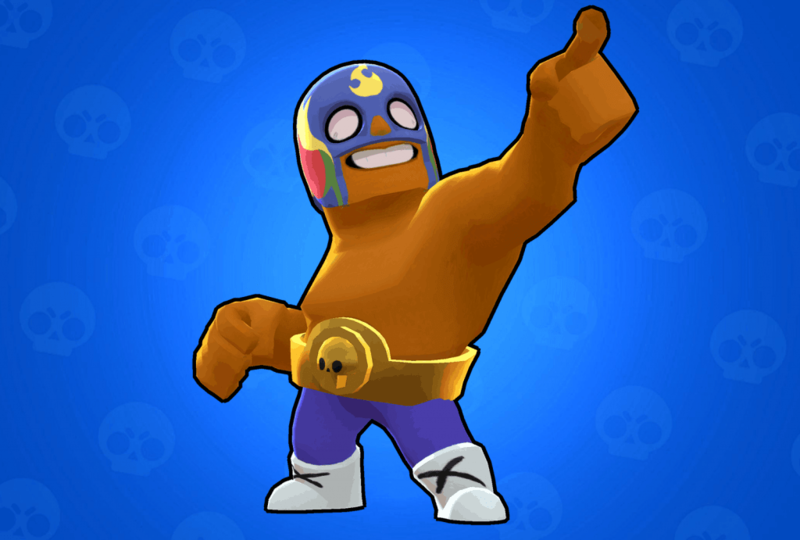 El Primo is a tanky close ranged fighter who uses punches and a mighty leap to take down enemies. El Primo is a rare brawler who is unlocked by opening brawl boxes. Fists of Fury. El Primo throws a series of punches at opponents. This attack is very short ranged but does quite a bit of damage and has a low cooldown. Flying Elbow Drop. El Primo leaps to a chosen location dealing damage to everyone in the impacted area. This super attack also knocks enemies away and makes the iconic “El Primo!” sound. El Primo’s star power is El Fuego which causes enemies caught in El Primo’s super attack to set on fire. Enemies on fire will take 800 damage over 4 seconds. Barley is a classy robot butler who throws bottles of poison at his enemies. You unlock Barley who is rare brawler by unlocking brawl boxes. Undiluted. Barley throws a bottle of poison at a chosen location. On impact, a puddle of poison is left behind on the ground. Enemies standing in this poison takes damage every second. Last Call. Barley throws a flurry of bottles covering the impacted area in flames. This super attack covers a wide area, enabling Barley to cut off an entire path. Barley’s star power is Medical Use, which makes Barley heal 300 health every time he uses his basic attack Undiluted. Rico is a super rare brawler who uses his gun to shoot balls at opponents. You unlock Rico by opening brawl boxes. Bouncy Bullets. Rico shoots bouncing balls at enemies. Because this attack bounces on walls, you can hit enemies hiding behind structures. Trick Shot. Rico shoots an even greater series of bouncing balls which pierce through enemies and bounce off structures. Rico’s star power is Super Bouncy which supercharges his bouncing balls, making them travel faster and deal 80 more damage each from their first bounce. 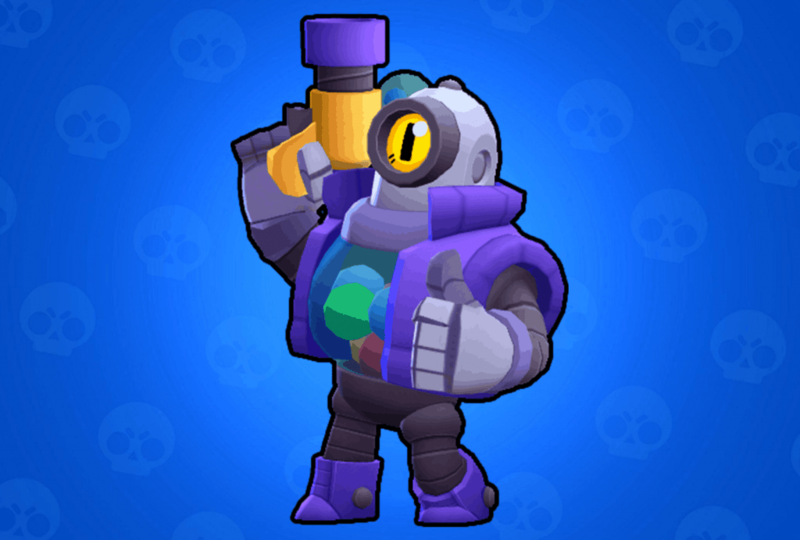 Darryl is a super rare brawler who takes out enemies with his two shotguns. To unlock Darryl, unlock brawl boxes. Double Deuce. Darryls shoots both of his shotguns in quick succession. Both shots are cones of shells, so the more pellets that hit the enemy the more damage this attack does. Barrel Roll. Darryl rolls around in his own barrel at a rapid speed, bouncing off any structures he hits, damaging enemies and knocking them back. Darryl’s star power Steel Hoops reduces the damage Darryl takes in his barrel by 40% for 3.5 seconds. Penny is super rare pirate Brawler who takes down enemies with her gun and cannon. To unlock Penny, you have to unlock brawl boxes. Plunderbuss. Penny shoots a pouch of gold at enemies. If this pouch hits an enemy, it will deploy three golden coins behind its target damaging enemies they hit. Old Lobber. Penny puts down her cannon at a target location. This cannon starts shooting cannon balls at enemies, dealing damage to everyone in the area of the blast, even if they are behind structures. Penny’s star power is Last Blast which makes her cannon shoot out a last barrage of cannon bombs when the cannon is destroyed. Each of these cannon bombs deals 1680 damage. Piper is an epic brawler who uses her powerful umbrella weapon to take out enemies. 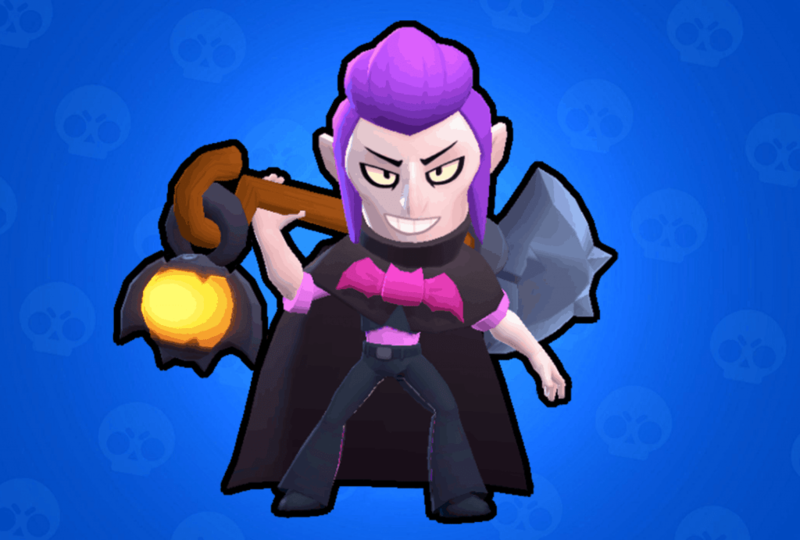 Piper is unlocked by unlocking brawl boxes. Gunbrella. Piper shoots a sniper shot from her umbrella. This shot travels quickly, has a long range, and does more damage the longer it travels. Poppin’. Piper jumps away from her current location, leaving three powerful grenades behind. Piper is immune while in the air. Piper’s star power is Ambush which grants her a 400 damage bonus to her basic attack Gunbrella whenever she is hidden in a bush. Pam is another epic brawler who uses scrap metal to take out enemies and heals her allies with her healing station. You have to open brawl boxes to unlock Pam. Scrapstorm. Pam brings fourth a storm of metal scrab by shooting nine pieces of metal at enemies. This scrab is shot out in a cone and sweeps back and fourth. Mama’s Kiss. Pam places down a healing station that heals all allies within a large range. This ability does not heal allied turrets etc, only brawlers. Pam’s star power is Mama’s Hug which makes Pam heal all allies 30 health each time her basic attack Scrapstorm hits an enemy. Frank is a tanky short-ranged brawler. He is an epic Brawler that is unlocked through opening brawl boxes. Hammer Hit. Frank slams his hammer into the ground, causing a shockwave that damages enemies. It takes frank around half a second to charge up this attack, leaving him vulnarble for a short while. Stunning Blow. 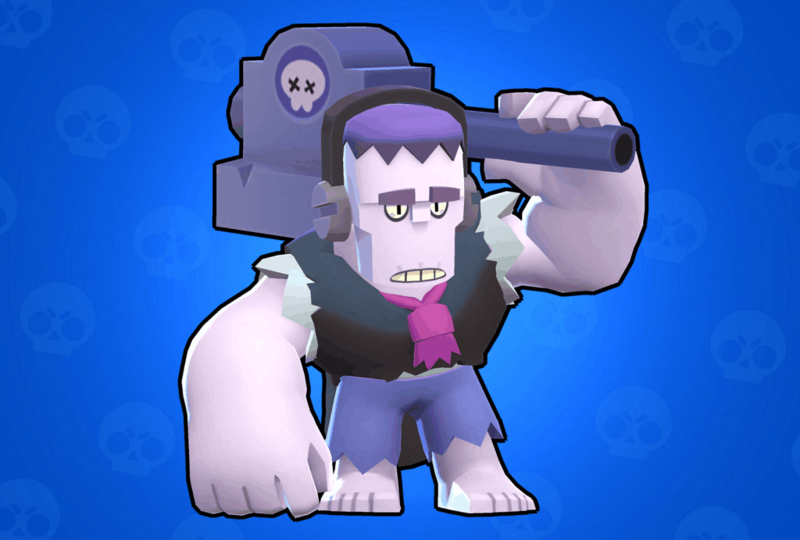 Frank swings his hammer with greater power causing a bigger shockwave that damages enemies, destroys structures, and temporarily stuns opponents. Frank’s star power is Power Grab which gives him a 40% damage boost for 10 seconds after defeating a brawler. 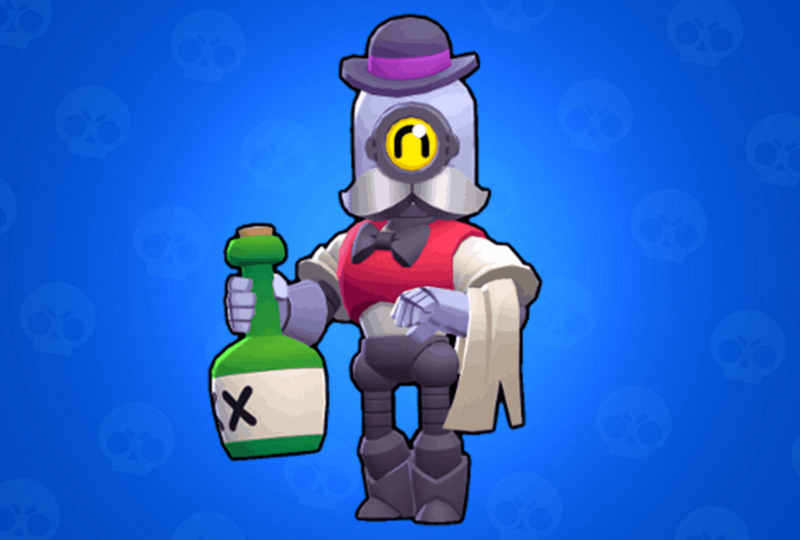 Mortis is a brawler of mythic rarity. He uses his shovel to swiftly move around on the map while taking down opponents. Mortis is unlocked by opening brawl boxes. Shovel Swing. Mortis swings his shovel in front of him, causing him to dash foward a short distance. Any enemies hit in Mortis’ path takes damage. Life Blood. Mortis summons forth a swarm of vampire bats. These bats travel in a single direction, has a far range, and flies over structures. When bats hit opponents, they take damage and Mortis is healed equal to the amount of damage done. Life Blood can hit multiple enemies. Mortis’ star power is Creepy Harvest which makes him heal 1400 health after defeating an enemy brawler. Tara is a mythic brawler who throws cards at opponents and summons a graviational field to take down enemies. 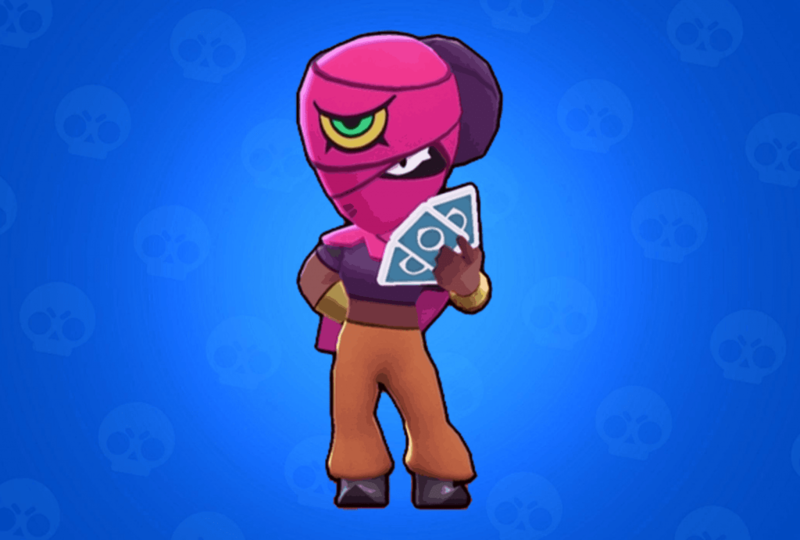 To unlock Tara, you have to open brawl boxes. Triple Tarot. Tara throws three cards at once in a cone. One card in the middle, one in each side. Triple Tarot travels through enemies and damages all opponents hit. Gravity. Tara creates a field of gravity by throwing a card on the ground. Enemies caught in this field are pulled towards the center. After a brief moment, the field explodes dealing damage to anyone inside. Tara’s star power is Black Portal which causes her super attack Gravity to summon a shadow version of Tara herself that attacks enemies. Gene is a mythic brawler who uses his magical power to take down enemies. Open brawl boxes to unlock Gene. Smoke Blast. Using the power of his magical lamp, Gene casts a magic ball that deals damage to enemies hit. If this spell doesn’t hit anything, it spilts up into 6 smaller projectiles once it reaches max range. Magic Hand. Gene summons a huge hand from his magical lamp in a given direction. If an enemy brawler is hit by this hand, they will get pulled back to Gene’s location. Gene’s star power is Magic Puffs, which makes Gene a walking healing station. All allies within a small radius of Gene will be healed 200 health each second. This star power does not heal Gene himself. Spike the cactus man is a legendary brawler who uses the power of cactus to take down opponents. 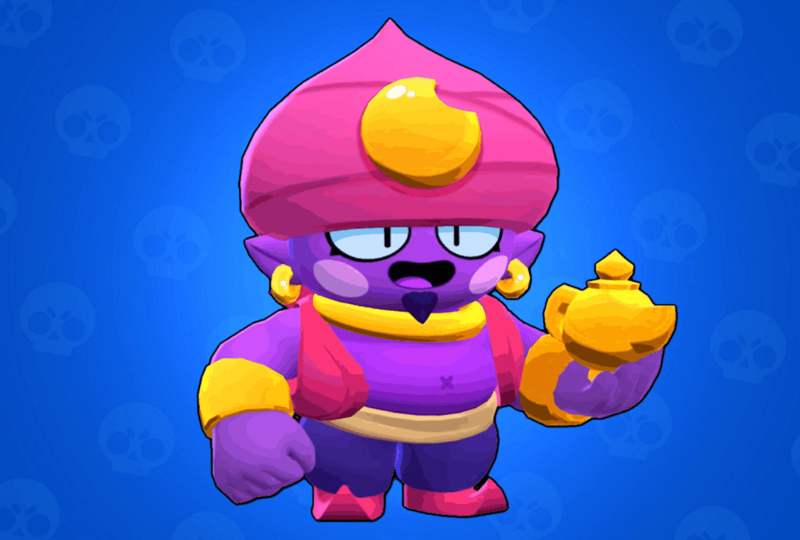 Spike is unlocked by opening brawl boxes. Needle Grenade. Spike throws a cactus that rolls on the ground until it hits something or reaches maximum range. Once this happens, the cactus explodes sending out 6 needles in a circle around it. Stick Around!. Spike brings forth a patch of spikes at a target location. Enemy brawlers caught in these spikes take damage and have reduced movement speed. 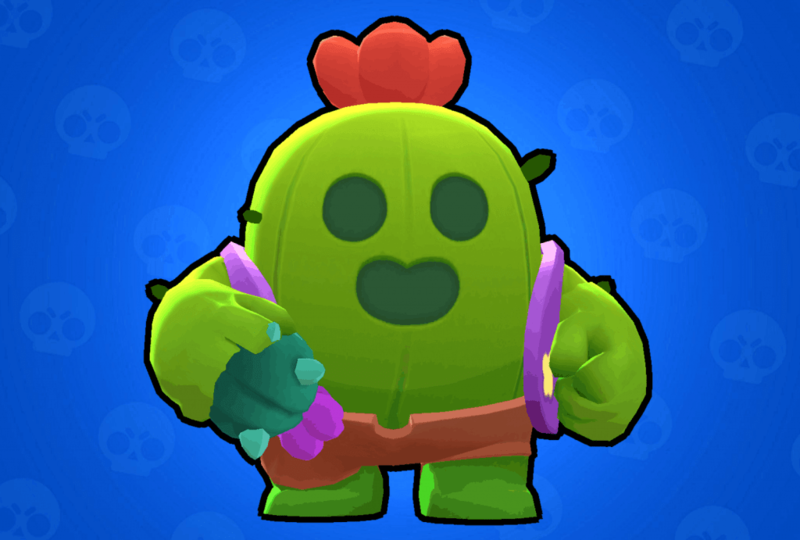 Spike’s star power is Fertilize which enables Spike to recover 500 health every second while standing in his cactus patch created from Stick Around!. Crow is a legendary brawler bird who uses daggers and poison to take down foes. 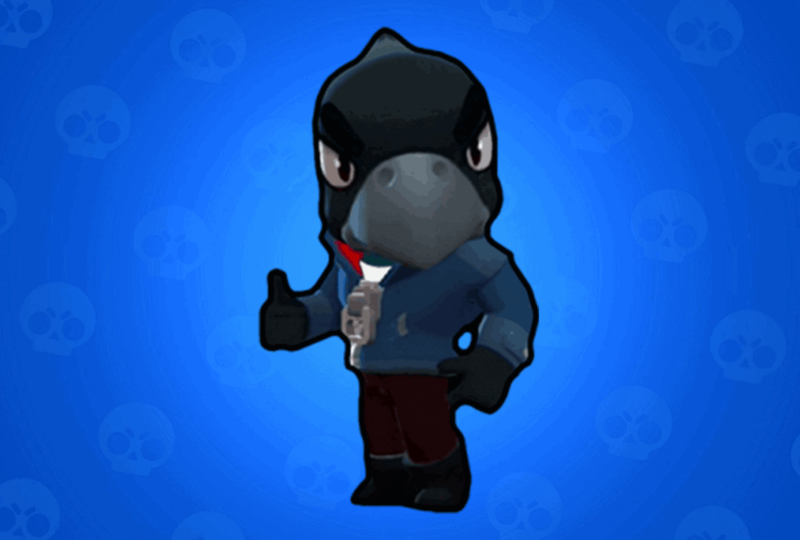 You unlock Crow by opening brawl boxes. Switchblade. Crows throws a volley of three posion daggers. Enemy brawlers hit by a daggers take damage from the impact and then some extra damage over time. Swoop. Crow takes to the air, throwing several daggers around him on take off and another round of daggers once he lands. Crow’s star power is Extra Toxic which upgrades his poison to also reduce enemies damage by 10% while active. Leon is a legendary brawler who is a master at stealth and taking down enemies with blades. 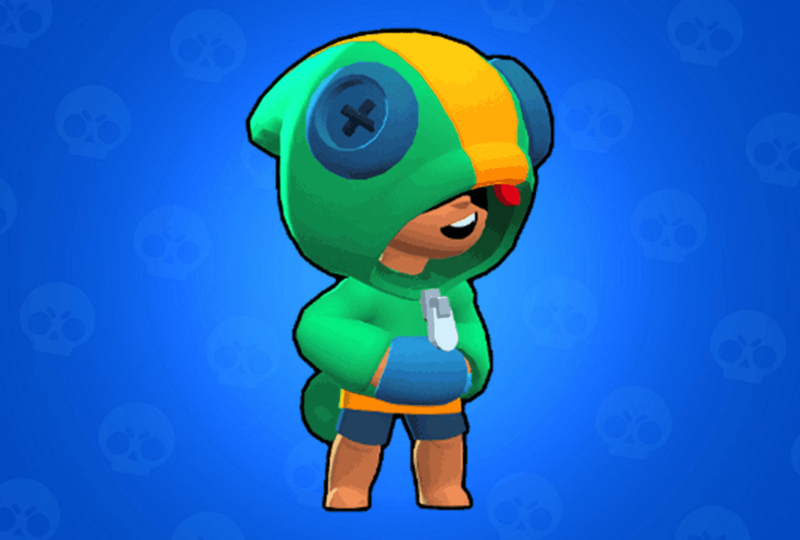 To unlock Leon, you have to open brawl boxes. Spinner Blades. Leon quickly throws 4 blades in succession. Enemies hit by Spinner Blades take damage depending on how far the blade has traveled before hitting. The farther the blade has travelled, the less damage it does. Smoke Bomb. Leon throws a smoke bomb at his current location making him invisible for 8 seconds. Enemies within 4 tiles are able to see him, however, turrets etc are not able to see him at all. Attacking will cause Leon to become visible again. Leon’s star power is Smoke Trial which gives Leon increased movement speed for the entire duration of his invisibility. Pickaxe. Carl throws his pickaxe at a target location. Carl’s pickaxe acts like a boomerang, returning to him after reaching a certain distance. Once Carl catches his pickaxe again, he can throw it once more. Tailspin. Carl starts spinning his minecart at a high speed, swinging his pickaxe at the same time to deal damage to enemies. While Carl is spinning around, his movement speed is greatly increased. Carl’s star power is Power Throw which makes Carl throw his pickaxe at greater speeds, causing it to reach its make distance and return faster.